The concept of resilience has exploded in both academic and popular discourse on global environmental change. Resilience has become an important goal for cities, particularly in the face of climate change. This rapid rise of resilience has sparked some critique. These criticisms focus on how uses of the resilience concept fail to critically address questions of resilience of what to what and for whom, thereby neglecting concerns about spatio-temporalities and power. Moreover, within the rapidly growing body of research on resilience there are many inconsistencies in how the concept is defined and measured. 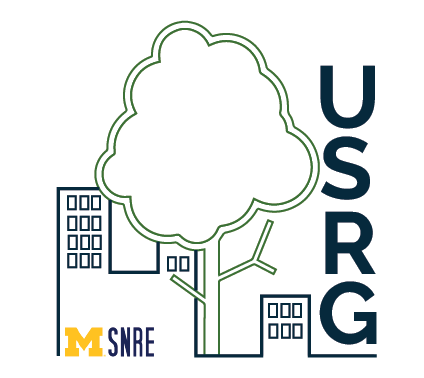 This research theme is devoted to developing an inclusive definition of urban resilience and an interdisciplinary framework to operationalize it across geographies, places, and scale. 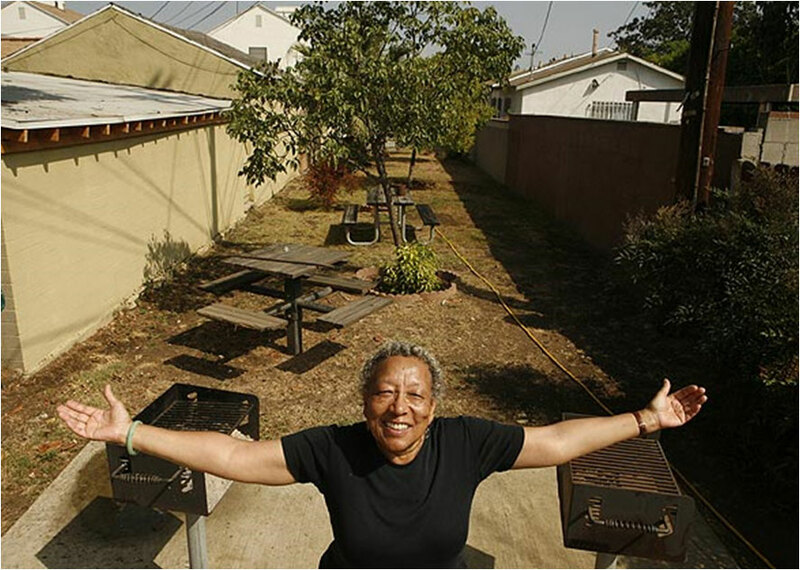 Current empirical research is focused on the cities of Detroit, Los Angeles, New York, and Manila. Research on the relationship between complexity and resilience has been published in the Journal of Industrial Ecology. Scholarly literature on urban sustainability, as well as planning and policy practice, has mostly dealt with cities as geographically bounded spaces. The research has emphasized how buildings, land use patterns, and transportation systems affect the sustainability of cities. Although it is through commodities that we are inextricably linked to distant places, most of us know little about where the products we consume come from, to say nothing of the conditions under which they were produced. 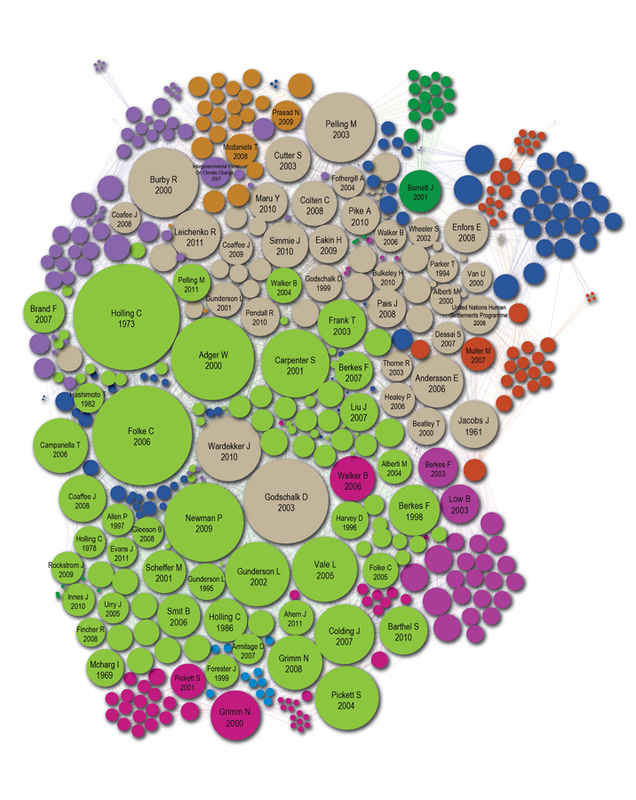 Resource flows, products, and their consumption are largely ignored, despite the enormous volume of materials and embodied energy used in their manufacture, distribution, and disposal, and the geographically variable impacts of supply chains.Our research seeks to address this shortcoming by rescaling and reframing urban sustainability theory so as to include consideration of product consumption on distal ecosystems. Research is currently focused on flows of two resources: water and wood. This includes published work on the water supply metabolism of Los Angeles and on the global wood supply chain linkages between forests in Russia, manufacturing centers in China, and urban areas in the U.S. Methodological innovations in this published research include the coupling of Geographic information Systems (GIS) with life cycle assessment models and more traditional social science approaches (e.g. interviews, historical analysis, etc.). Source: Cousins, J. & J.P. Newell. 2015. 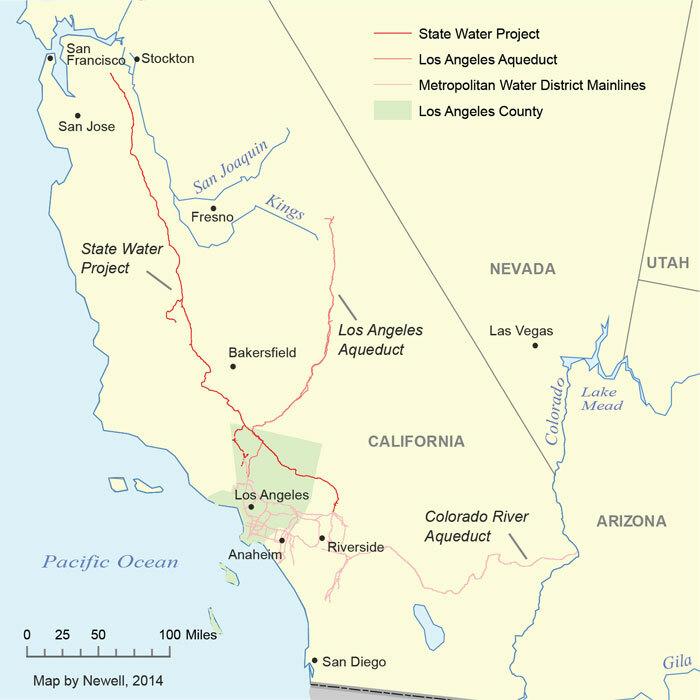 A political-industrial ecology of water supply infrastructure for Los Angeles. Geoforum, 58: 38–50. Green infrastructure includes innovative distributed stormwater management infrastructure (e.g. green roofs, rain gardens, bioswales, and tree-lined streets), as well as the greenways, parks, urban farms, and protected river basins that weave through a city’s environs. Ecosystem benefits of healthy and extensive urban green infrastructure are many (e.g., reduced stormwater flows, improved water quality, carbon sequestration, reduced urban heating, biodiversity) and studies indicate green urban areas can improve property values and have multiple social, economic, health, and psychological benefits. There is also increasing interest in the potential of urban agriculture as a form of green infrastructure than can also enhance community-scale food security. Our research seeks to better understand the synergies and trade-offers between these purported benefits. Key green infrastructure questions include understanding stakeholder preferences for implementation, how to scale it up, and modeling the synergies and trade-offs. Current empirical research is focused on the cities of Detroit, Los Angeles, Chicago, New York, and Manila. Research has been published on the potential of green alleys to serve as multifunctional green infrastructure. Largely pioneered by physicists and engineers in the late 1960s, industrial ecology is a largely a normative project that has developed a range of methodologies (e.g. life cycle assessment, material flow analysis, industrial symbiosis, environmental input-output analysis) in which to consider resource use at a range of scales and contexts. A long-standing challenge for this field, however, has been the development of robust and complementary approaches that advance our knowledge of governance, power dynamics, and social equity dimensions of these systems. Political ecology is a rapidly growing field in the disciplines of anthropology and geography. Hallmarks of political ecology include the field’s ability to address the how and why of systems by elucidating the broader social, political, and historical conditions that have shaped their creation, development, and persistence. Growing numbers of scholars have identified the potential of combining these two ‘ecologies’ to leverage their respective strengths, including in the area of urban metabolism research. This research thrust seeks to develop the theory and praxis of political-industrial ecology by merging elements of these two fields. Beyond methodological approaches to quantify the stocks and flows of a commodity or resource, political-industrial ecology looks to the broader social, political and historical circumstances that (re)reshape commodity production-consumption dynamics, such as the spatial inequities at key nodes in input-output structures and processes. Current research is focused on expanding the urban metabolism concept to more fully understand urbanization processes, with a major paper in Progress in Human Geography. Empirical research using this political-industrial ecology framework has published on the water supply metabolism of Los Angeles in Geoforum. Source: Newell, J.P. and J.J. Cousins. 2015. 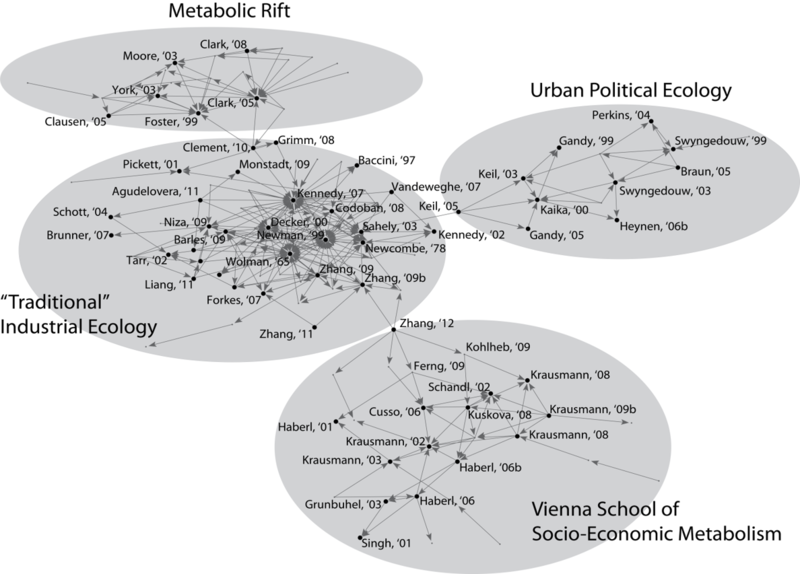 “The Boundaries of Urban Metabolism: Towards a political-industrial ecology.” Progress in Human Geography.